Finding a safe place for a child is a daunting task for any parent, but at Another Place to Grow Childcare and Learning Center, children are safe, happy and engaged. 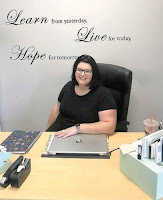 Owner Ashley Moulton takes pride in the care she and her staff of 25 provide, as well as the new space that was built especially for the center on Plaza Drive, the building in the back, off the road. The center has 80 children daily, but room for more. There is a strong preschool program under director Dianne Walker, who has been in the child care business for 26 years. Walker, a preschool teacher for 13 years, loves to see her former students and hear what they remember from their preschool days like worms or cutting open coconuts. “That’s when you know you’ve made an impact on them. That’s when you know it was worth it. You make a difference,” said Walker. For nine years, Another Place to Grow was on Danielle Drive in Windham. They recently relocated to a brand-new building to provide updated facilities in a more secure environment. “It’s always been a passion for me,” said Moulton, a mother of one who followed in her own mother’s footsteps. “I love seeing them grow. Knowing kids can have a safe place and nurturing environment is what it’s all about in my eyes,” she said. The preschool program works with Windham Primary School’s (WPS) administration to make sure what APTG is teaching corresponds with the learning the children will have once they enter kindergarten. Another Place to Grow just incorporated the Jolly Phonics Literacy Program this year, according to Walker. “It teaches letter sounds before letter names. When kids learn sounds, reading comes easier,” she said. Using hand motions, songs, and a story for each letter, it involves the children physically in the education. The program at the 3-year-old level is very basic. The pre-k class with 4-year-olds uses the program to correspond with WPS. There are no current openings in the preschool programs. A number of the employees have associate degrees in childhood development and one teacher is a former high school teacher with a master’s degree. “This level of education is unique in a small classroom setting,” said Moulton. Each class has one teacher to five children. In the infant room, it’s one to four children ages six weeks and up. There are openings in the infant, 1-year-old and 2-year-old rooms. The building is a protected 24/7 security-locked building. All parents have a key card and the only way to enter is through the front door. There is also a fenced in backyard. The property abuts Donna Beth Lippman Park, which can be accessed by a nature trail to the playground and story walk. Fridays are park fieldtrip days for the preschool. Another Place to Grow has a private Facebook page for parents to get information and ask questions. It is a nice and secure way to follow student progress and stay up-to-date on what is happening at the center. 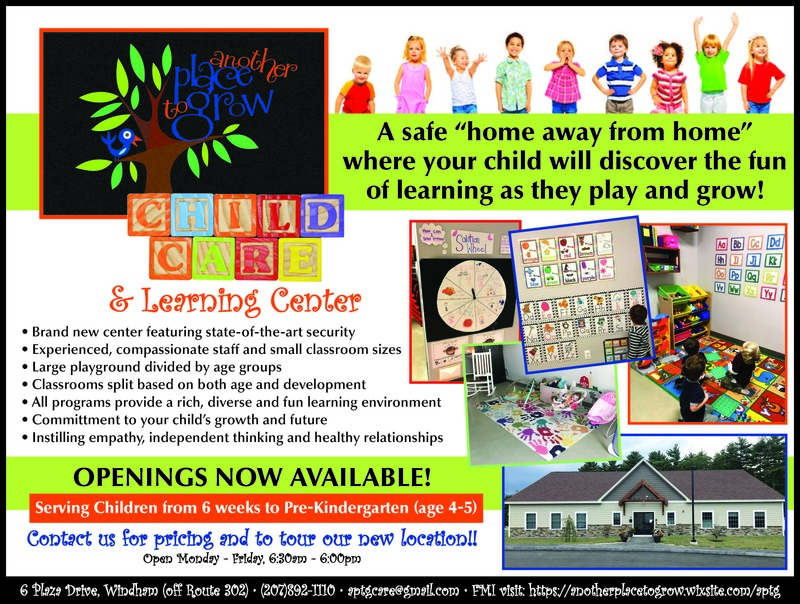 “We’re a center-based child care with a home-like feel,” Moulton said. “We really care about them.” They are committed to your child’s future and help instill a sense of empathy in your child as they learn, play and grow. Another Place to Grow Childcare and Learning Center accepts part time enrollment and is very flexible with hours and days. Hours are 6:30 a.m. to 6 p.m. They no longer offer a before and after school program.